It sure felt strange clicking Add to Cart for an ebook priced at $119.99. In fact, to be honest, it felt absurd. We cannot blame the authors, in the Pearson realm, you get zero input on book price. I presume the logic here was – CCIE or CCDE candidates will pay more – a lot more – for their preparation products. I actually would not have been complaining here too much about the price had I been able to receive a print copy of the book as well. But sure enough – nothing. At 264 pages – the print book would not have been that short. OK, I will shut up now about price and get into the review. This book certainly deserves it – because overall – it is really, really great! Brad Edgeworth, Jason Gooley, and Ramiro Garza Rios (darn big deals in our industry) succeed here at doing what many of us (myself included) have failed at doing – in my opinion, they cover these evolving technologies in just the right level of detail we need and expect for our written exam pursuits. Here is a summary of my thoughts. We will start with the GOOD and quickly recap the few BAD. Having taken many (to say the least) of these exams that include Evolving Technology questions, it felt to me as if this book really does cover any area we might get poked in during an exam. Like all Cisco exams, you can feel a bit off balance with the question pool for a topic domain. 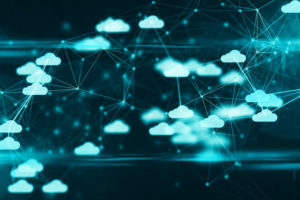 You might get one ridiculously simple question on the cloud to see if you know what SaaS is all about, but then the very next question is asking you some very detailed question about orchestration using a Cisco tool. This book really seems to cover us no matter what Cisco throws our way. NOTE: Be sure to make flashcards covering the many, many details that are in these pages. Perhaps it is protocols in a table (IoT) in the book where you might get questions. So avoid the temptation of not REALLY studying this material. The book contains some really fun and interesting hands-on work you can perform yourself and follow along with. This was a pleasant and unexpected surprise in a text of this nature. This book is clearly not a copy paste from other materials. The tone and accessible language of the text really demonstrate that the authors each really knew their stuff for the respective sections and just explained these new technologies to us in a manner that made it a snap to understand. Related to the previous bullet, the length of this text just feels spot on. Could you write this same text and have it consume Stephen King type length? Of course you could, but that would not serve students well! I am not sure why the authors decided to not follow the blueprint order of topics letter for letter. Why move IoT to the first section when it is the last section of the blueprint? Why not have subsections named after the sub-bullets from the blueprint? I am convinced that every objective is actually covered and covered well in this text, it just would have been easier to find stuff if it mirrored the blueprint PDF. No printed copy sure is a bummer. While I will do a Kindle or an iPad when forced to – I am old school – give me a book any day. In fact, especially for Cisco Press content. While researching this post, I realize that buying it on Amazon was probably a mistake as it is locked up tight on my Kindle and I have already run into licensing issues trying to read it on my millions of screens. Over at Pearson IT Certification, it is cheaper and available in a PDF format. This post examines a sample configuration of a virtual port channel. 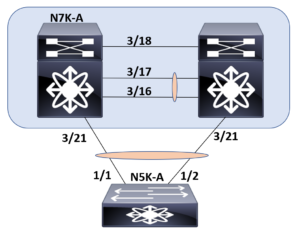 This port channel is created between two Nexus 7K systems and downstream Nexus 5K systems. 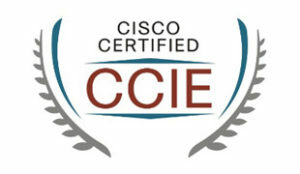 This is part of the link aggregation section of the exam requirements in CCIE Data Center. Below is the diagram you can use for reference in this example. We will only demonstrate the config of a single VPC peer since the other peer is simply a mirror of this configuration. First, we will prepare the vPC keepalive link for this scenario. Do not be thrown off by the name of our VRF. This configuration does not technically fall under the vPC config (yet!). Next, we will configure the vPC domain (after enabling the feature of course) and configure the peer-keepalive link we prepped. Now, we configure a port channel between our vPC peers and configure it as the vPC peer link. Next, we will head down to the N5K and configure a “plain ole” LACP port channel. Now, it is time to configure the vPC on the N7K. You should note that you can and should perform verifications as you go along here. For example, you can verify reachability, check the port channels that are configured, and watch the progress of the vPC as you configure it. For brevity here, we will just end this post and this example with our critical show vpc command.